Yesterday, we shared a press release recapping what would typically a pretty under-the-radar meet between the women of Cal and San Jose State. Yet, one result stuck out: an apparent 20.92 anchor leg by freshman Abbey Weitzeil on Cal’s “C” 200 free relay, which would be one of the fastest times in history. Now, you do occasionally see some pretty outrageous relay splits due to various touch pad issues, and it seemed pretty crazy that Weitzeil would be that fast at a relatively low-key duel meet, almost certainly untapered and in a training suit. However, we reached out to Cal for confirmation, and they responded that it was a confirmed split, with no touchpad malfunction. While we can never be 100% sure, especially as there is still the possibility of something like a bad exchange that wasn’t caught by the officials, this appears to be the third-fastest relay split ever, and the only sub-21 split done outside of a championship meet. On one hand, that a swimmer could go this fast in season is simply mind-blowing. 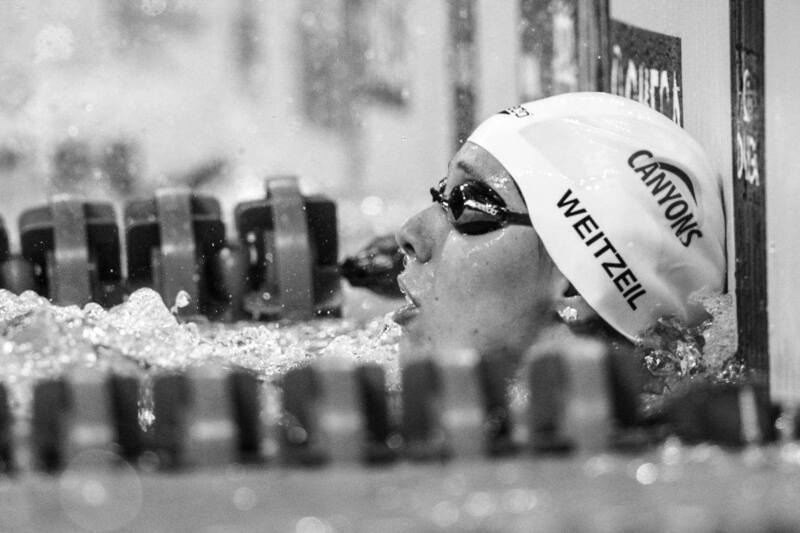 On the other hand, Weitzeil is the American Record holder in the 50 free, boasting a time of 21.12. If you assume a flying start gives you an extra 0.5 to 0.7 seconds, that means that it’s certainly reasonable to expect Weitzeil to be able to go somewhere around on a relay start 20.5 come championship season. The bottom line to all of this: swimmers continue to get faster, and we should be set for an absolutely epic 50 free battle come March at the NCAA championships. So because an unamed source from Cal confirmed the split it’s official? Hardly an unbiased source. Abbey’s times throughout the meet were not particularly impressive and don’t indicate 20.9 type speed, though she did go a 21.1 flat start last year and she was apparently unrested and unshaved.